Cold temperatures are upon us, and in our house, that means it’s time to bring on the soup! These Easy Instant Pot Soup Recipes will feed your entire family, leaving you warm from the inside out! When the leaves start to turn and the temps start to drop, I crave soups and stews. There is just something about a big bowl of soup that is comforting. I thought it would be nice to put together a list of soup recipes that are easy to make…especially if you make these soups in your Instant Pot. I received my Instant Pot as a gift last year, and it quickly became my go to for quick and delicious meal prep! It makes cooking quick, easy, super flavorful and since I’m just using the IP, there is a lot less clean up. We’ve used ours to make Quick and Delicious Baked Potatoes, The Easiest Boiled Eggs, Cooked Chicken Breasts from Frozen, and so many more delicious recipes. But today, it’s all about the soups and stews! These recipes are from some of my dear blogging friends, and I promise, they will not disappoint! I’m going to be making Lindsay’s amazing Instant Pot Beef Stew from Pinch of Yum tonight…it’s the first on this list because it is my absolute favorite! So, grab your pressure cooker and get cookin’ friends! If you don’t own an Instant Pot yet, it’s the perfect time to treat yourself or add one to your Christmas list! You can find the Instant Pot that I use HERE on Amazon! I truly couldn’t live without mine at this point. 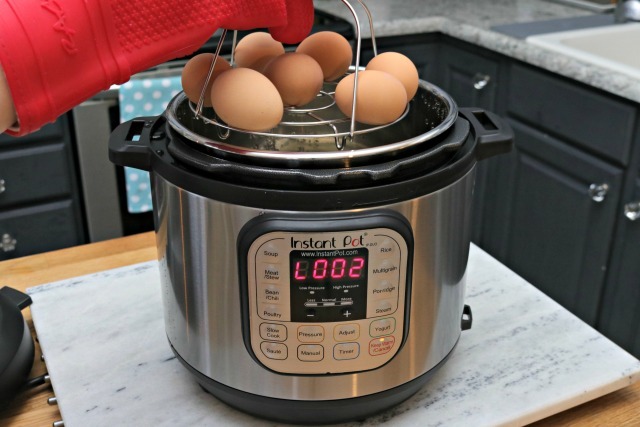 Also…you can use any other pressure cooker for these recipes, not just the IP. Looking for more Instant Pot Recipes? Check these out below! In addition to these delicious Instant Pot soup recipes, I’ve put together a list (with links included) of the most delicious Instant Pot recipes I could find! All of them are packed with flavor, and are sure to impress your family at dinner time! 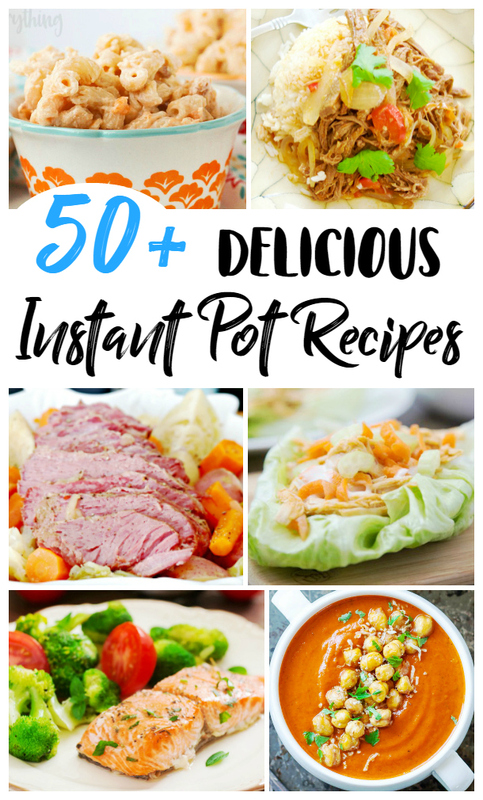 Find 50+ Delicious Instant Pot Recipes HERE! Looking for some Instant Pot recipes that are geared more toward fall? 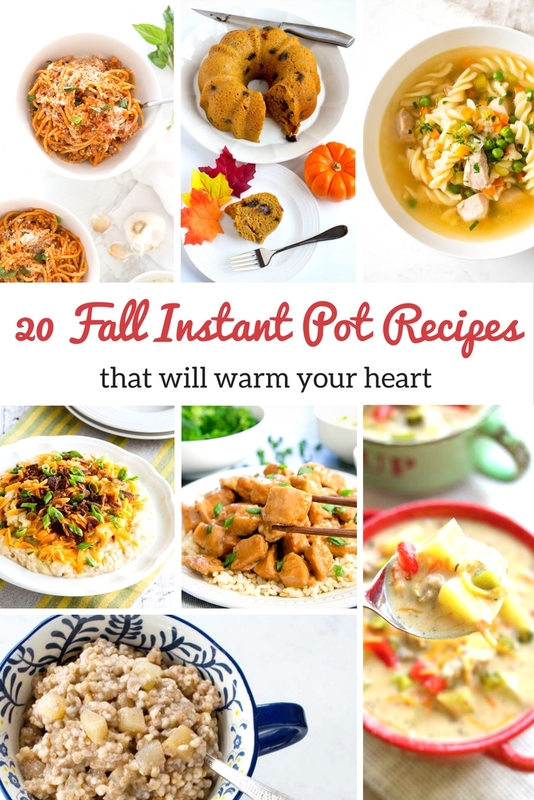 These 20 Fall Instant Pot Recipes will warm your heart from the inside out! I have to say, corned beef and cabbage is one of my all time favorite meals, and it’s not just something I make around St. Patrick’s Day! It is one of my favorite comfort foods for all year round! 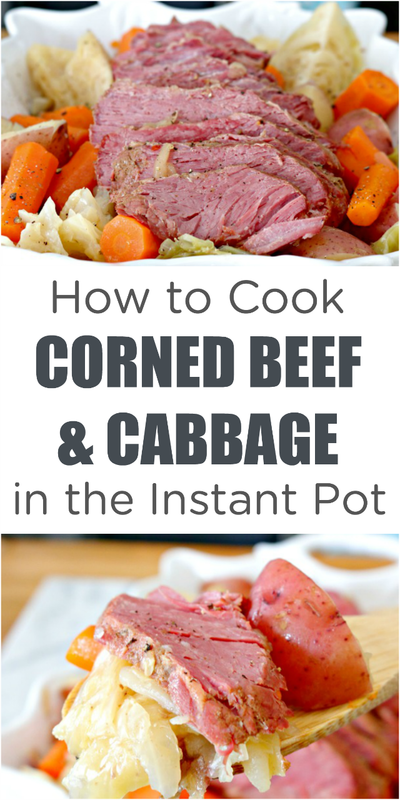 Check out my Instant Pot Corned Beef and Cabbage HERE! 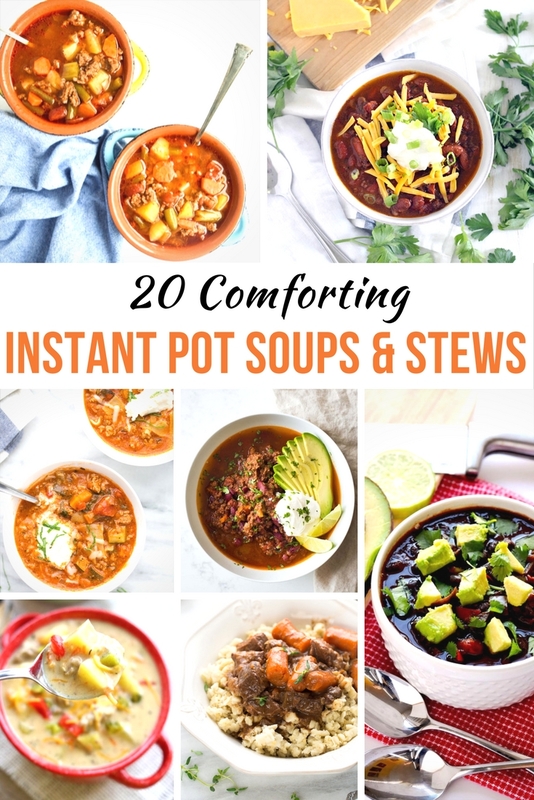 I hope you enjoy these Instant Pot soup recipes as well as the other amazing recipes you can make in your pressure cookers. You can, but you would definitely have to tweak some things, like time.